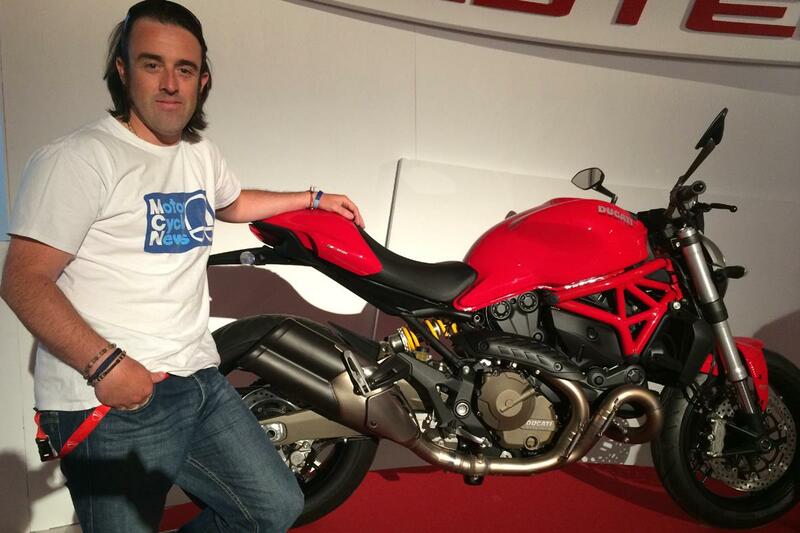 MCN Senior Road Tester Adam Child is at the world launch of Ducati’s new Monster 821 in Bologna, Italy. A short spin this evening will be followed by a full day of riding the new naked middleweight tomorrow. 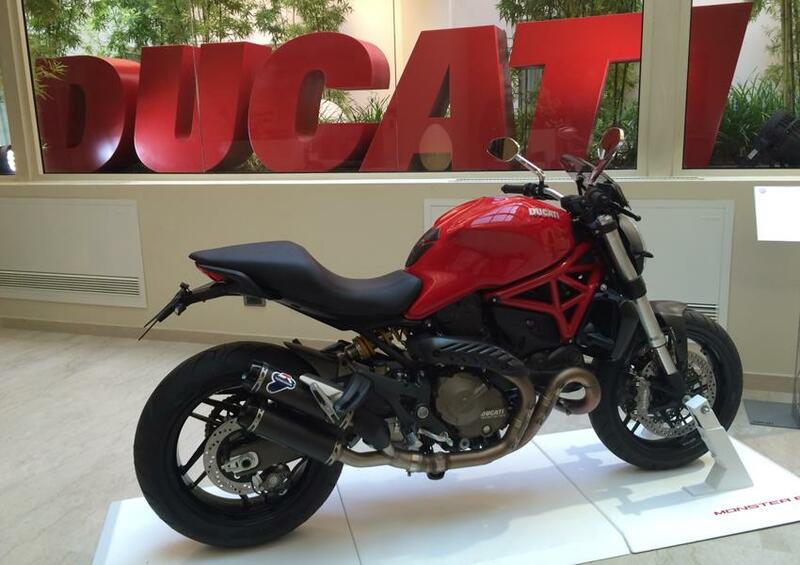 This is the latest Monster to come from the Ducati factory, hot on the heels of the all-new 1200 Monster earlier this year. The new middle Monster uses the water-cooled 821 v-twin from the Hypermotard, but with revised fuelling and different exhaust. This means peak power is 112bhp @ 9250rpm with peak torque at 65.9ftlb at 7500rpm. It shares a very similar tubular steel trellis half-chassis to that of the larger Monster, using the engine as a fully stressed member. The swing-arm is new, and a conventional double-sided unit rather than the single sider found on the pricier 1200. The 43mm Kayaba fork up front is non-adjustable, awhile the Sachs single unit on the rear is fully adjustable. 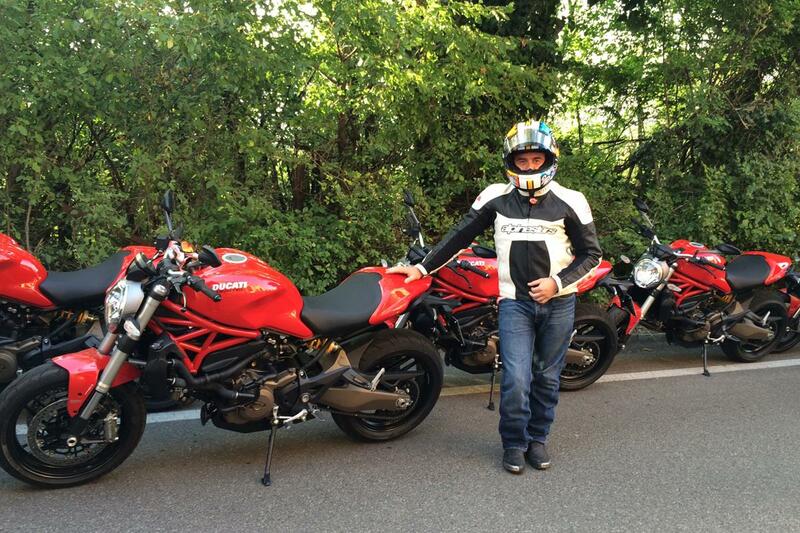 The new Monster comes with three rider modes, Sport, Touring and Urban, and Ducati’s Safety Pack (DSP), which includes three-level ABS controlled by Bosch, and eight-level Ducati Traction Control. Read the full road test in next Wednesdays MCN – on sale July 2.